We read all kinds of compelling sportswriting in April, include some great work from ESPN's Mina Kimes. Here at Awful Announcing, and across the sports media world, we spent a lot of time talking about TV. And while TV is a fun and dynamic medium (and, more importantly, pays the bills) we sometimes forget the less-heralded heroes of sports media: the writers. 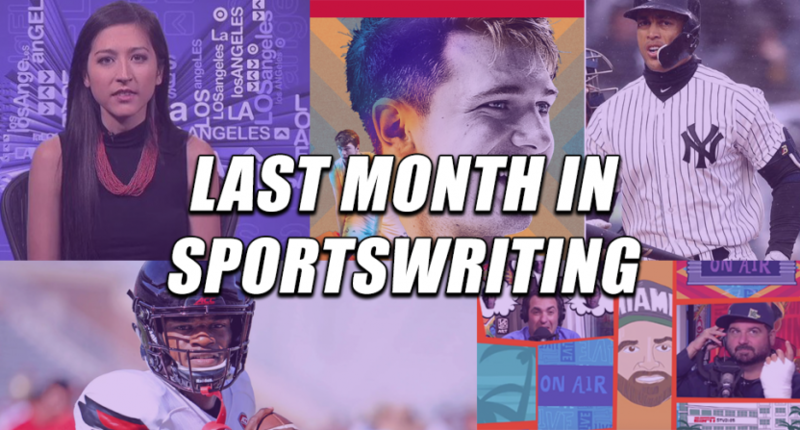 So with that in mind, we take some time every month to recap the highlights of the past few weeks of sportswriting, including some recommendations for stories you may have missed. Without further ado, here’s the best in sportswriting from the month of March. Since joining ESPN in 2014, Mina Kimes has emerged as truly one of the best sportswriters working. Though she specializes in the NFL, Kimes has written brilliantly about numerous subjects, from Korean bat flips to the Bennett brothers to how sports fans should react to domestic abusers. In April, Kimes submitted two fascinating pieces. The first was a thorough profile of potential NBA No. 1 overall draft pick Luka Doncic, in which she traveled to Slovenia to find out what the 19-year-old does and doesn’t have in common with past European arrivals. The second, in collaboration with Domonique Foxworth for The Undefeated, looked at incoming NFL quarterback Lamar Jackson’s preparedness for the NFL — and the league’s preparedness for him. Everything Kimes publishes (including on Twitter) is a must-read. Her work in April demonstrated why. As more and more details have emerged about Michigan State’s weak response to various sexual assault claims, and as the university has continued to mishandle those revelations, it has become clear that, as Katie Strang writes in this unlocked column, interim school president John Engler’s time is up. The Ringer made some major changes to its executive structure, promoting Geoff Chow to CEO and Sean Fennessey to chief content officer. Chris Ryan, Mallory Rubin and Juliet Litman all got new titles as well. FanRag Sports rebranded to FRS Sports and announced a new content partnership with The Score. Joe Posnanski became the latest big-name writer to join The Athletic. The Athletic also hired two experienced college football writers to cover a pair of SEC teams, while promising beat coverage of other high-profile programs. The Athletic COO Adam Hansmann explained to our Ben Koo what’s next for the ever-growing site. The Athletic editor Tim Kawakami and columnist Marcus Thompson had some interesting thoughts about their company’s relative lack of diversity. The Boston Globe suspended columnist Kevin Cullen after WEEI’s Kirk Minihane called him out for fabricating aspects of his experience on the day of the Boston Marathon bombings. Despite reports that the site was up for sale, FiveThirtyEight will remain in the Disney family but move from ESPN to ABC News. The Denver Post committed an embarrassing goof, using a photo of Citizens Bank Park on a piece about the hometown Coors Field. Sports Illustrated writer Jack Dickey won two days of Jeopardy, taking home more than $47,000. Speaking of SI, Meredith reportedly hopes to sell the magazine for $150 million. SI’s digital editor revealed that the past six months have been the biggest six months ever. in terms of traffic, in the history of SI.com. In more SI news, the company has made a trio of interesting new hires: Charlotte Wilder (from SB Nation), Shemar Woods (from MLB.com) and Emma Baccellieri (from Deadspin). And finally, RIP Sports Illustrated legend Bill Nack. 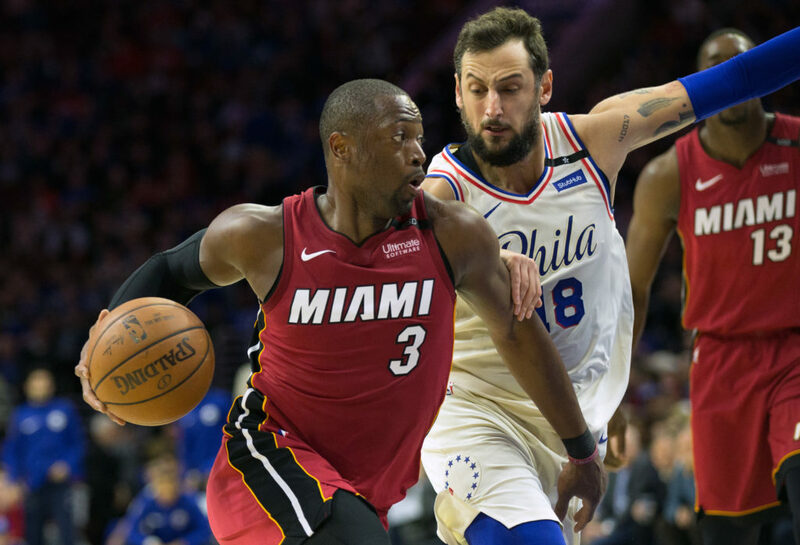 Dwyane Wade’s stay in the NBA playoffs didn’t last very long, but this piece about his triumphant return to Miami holds up. Months after being fired from the underachieving Milwaukee Bucks, Jason Kidd explained what he regrets about his tenure with the organization and why such a young team might not have been the right fit for him. This piece, published before the NFL Draft, comes with a provocative thesis: Maybe Lamar Jackson’s success at the next level might depend as much on the situation around him as it does on him. Three years after abruptly walking away from the NFL, Jake Locker opened up about why he made such an unusual decision. Let’s just say he’s not your typical quarterback. It took only a few days for Phillies fans to turn on new manager Gabe Kapler (before a winning streak quickly soothed tensions). This profile may or may not please every Philadelphian, but it will delight the ones who like exercise, advanced stats, “optimization” and Simon Bolivar. The Undefeated teamed with ESPN Stats & Info to deliver a data-packed piece that suggests black managers in baseball don’t get a fair deal. 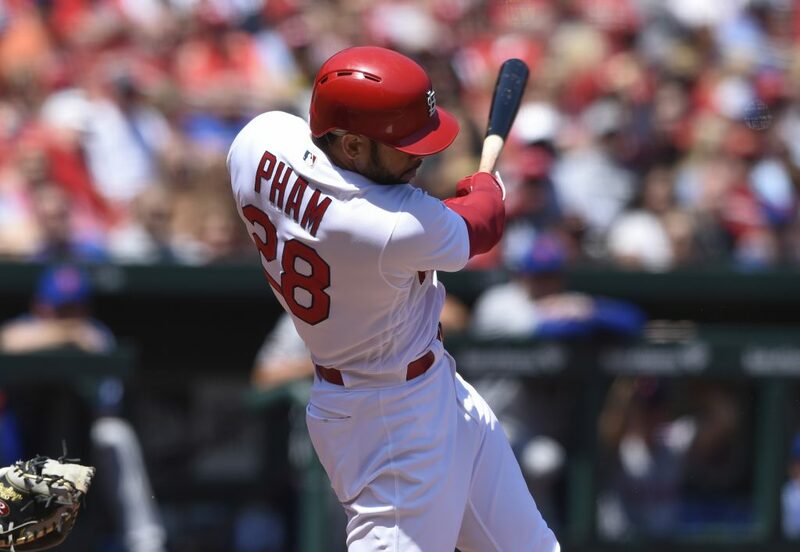 This piece got a lot of attention for Pham’s colorful (i.e. profane) quotes, but it also offers a nuanced portrayal of a thoughtful, complicated dude. Before Damian Lillard and the Trail Blazers flamed out of the playoffs in a first-round sweep, Lee Jenkins delivered a compelling profile of the All-Star guard. Television writer Mike Schur writes about the ever-irreverent Dan Le Batard Show, capturing how a show largely intended to spoof sports radio became one of the top programs on the dial. A lot has been written about Giancarlo Stanton but nothing quite like this piece on how he got his name and how his choice to ditch “Mike” helps sum up who he is. 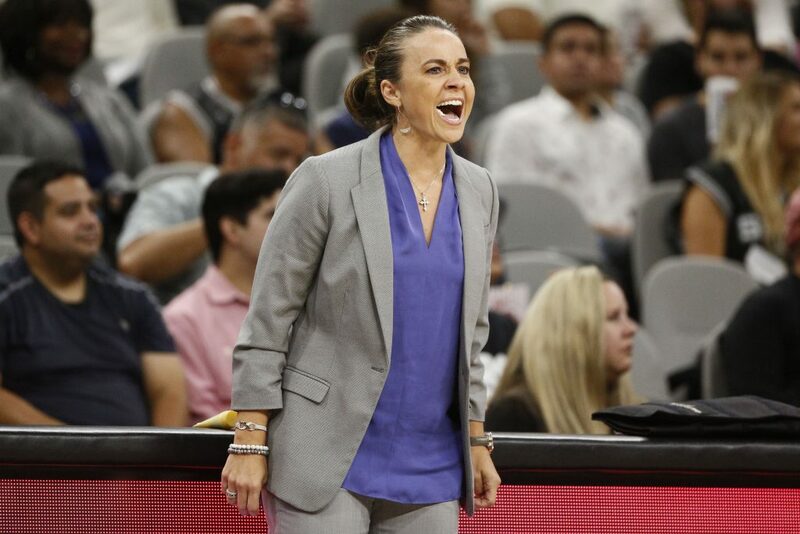 This piece works as both an insightful look at the NBA’s first female assistant coach and an astute examination of the (slow) progress women continue to achieve in the American sports landscape. Mina Kimes delivers a truly fascinating profile of the next great European basketball player, who happens to be distinctly different from many of his forebears. By the end, you’ll feel that you know what 19-year-old phenom Luka Doncic is all about.